An interdisciplinary team of graduate students from the University of Maryland’s School of Architecture, Planning and Preservation landed one of four final slots in the sixth annual HUD Innovation in Affordable Housing (IAH) Student Design and Planning Competition. After beating out over 70 teams from some of the most prestigious graduate programs in the United States, UMD will go head-to-head against University of California-Berkley, Yale University and Virginia Polytechnic and State University on April 17, at HUD’s Washington, D.C., office to defend its winning title. UMD has reached the final four each year it has participated in the competition since 2016, winning second place in 2016 and first place last year. On Team Maryland is team leader Kyle Huck (M.ARCH, MRED); Casey Huntington (M.ARCH, MRED);Lauren Stamm (M.C.P. ); Andrew Mazer (M.ARCH); and Nyasha Mandima (MRED). Day-Marshall and Bonstra/Haresign’s Rob McClennan, AIA, are the team’s advisors. The HUD IAH challenges interdisciplinary, graduate-level teams to address social, economic and environmental issues surrounding a real-world housing problem in the United States by developing innovative and original solutions through development, design and finance. The competition is guided by the philosophy that ideas and innovations from the next generation of professionals are essential in tackling affordable and sustainable housing. This year, teams are designing a development on a new 2.58-acre site adjacent to the famous River Walk near downtown San Antonio. 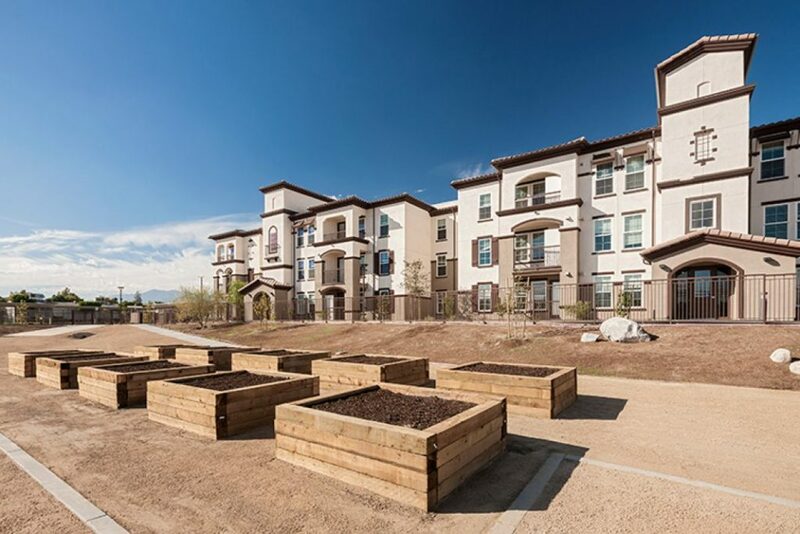 The San Antonio Housing Authority would like to add to its public housing communities by building approximately 100 new mixed-income workforce dwellings along with commercial mixed-used space and amenities. Teams were asked to maximize diversity in their designs-diversity of uses, diversity of incomes and diversity of unit sizes. The first round of the competition required schematics and a preliminary pro forma. The teams will refine their projects and produce more detail in the weeks leading up to the competition, aided by a site visit in early March. The first place team is awarded $20,000. To learn more about HUD’s IAH competition, visit their website. 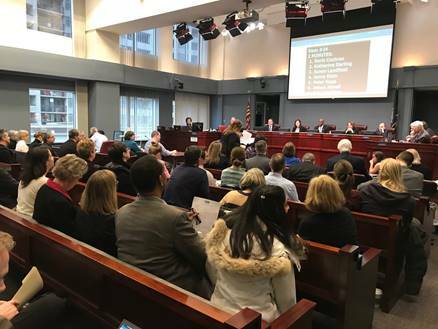 By a unanimous vote, the Arlington County Board recently approved necessary rezoning, the project site plan, and $5.8 million in funding from the Affordable Housing Investment Fund (AHIF) to support redevelopment of American Legion Post 139. The Arlington Partnership for Affordable Housing (APAH) will build 160 affordable apartments, half set aside for veteran’s preference, as well as a new facility for the American Legion. The apartments will be committed affordable for 75 years and will be built on the current Post site on Washington Boulevard. APAH and American Legion are committed to meeting the evolving needs of today’s veterans. Nearly 236,000 veterans in the DC area are housing cost-burdened, paying over 30% of their income for rent, and many have service-related disabilities. Arlington has a well-documented need for affordable housing, having lost nearly 90% of market affordable homes between 2000 and 2016. The new complex will include 48 one-bedroom apartments; as well as 87 two-bedroom and 25 three-bedroom units to meet the needs of veteran and low-income families. A new 6,000 SF American Legion facility will be a hub of innovative programming to meet the needs of today’s veterans. Denise Rolark-Barnes of the Washington Informer engages Chris Myers Asch and George Derek Musgrove, authors of Chocolate City: A History of Race and Democracy in the Nation’s Capital. On February 21, PNC hosted its 2019 Black History Month Celebration: a thoughtful discussion with Chris Myers Asch and George Derek Musgrove, the authors of Chocolate City: A History of Race and Democracy in the Nation’s Capital. The dynamic program opened with the audience singing “Lift Every Voice and Sing” in unison, followed by a dynamic conversation. Moderated by Denise Rolark-Barnes, publisher of The Washington Informer, Asch and Musgrove delved into how they decided to write the book, remarkable moments in DC’s history and more. Thank you to PNC for hosting a wonderful event! 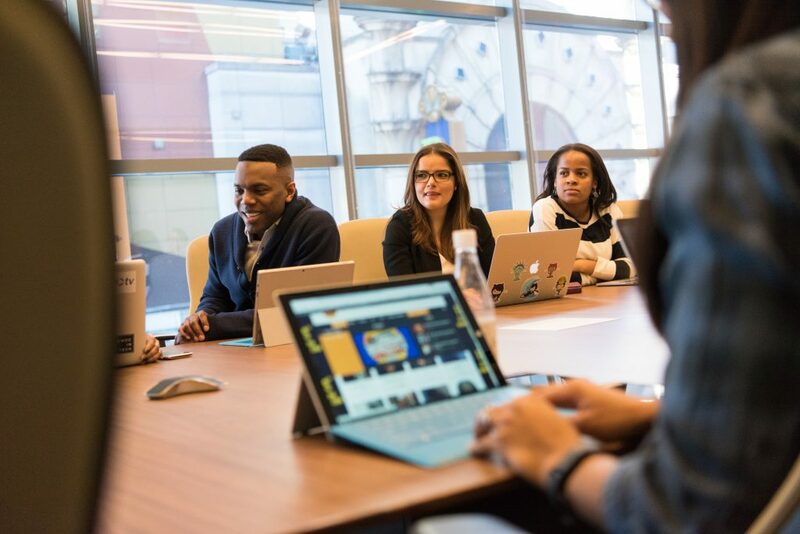 On March 4, 2019, JPMorgan Chase is opening its sixth Partnerships for Raising Opportunities in Neighborhoods (PRO Neighborhoods) CDFI Collaborative Competition. JPMorgan Chase launched PRO Neighborhoods – a five-year, $125 million effort – in 2016 to address neighborhood quality issues that are among the biggest drivers of income and wealth inequality. 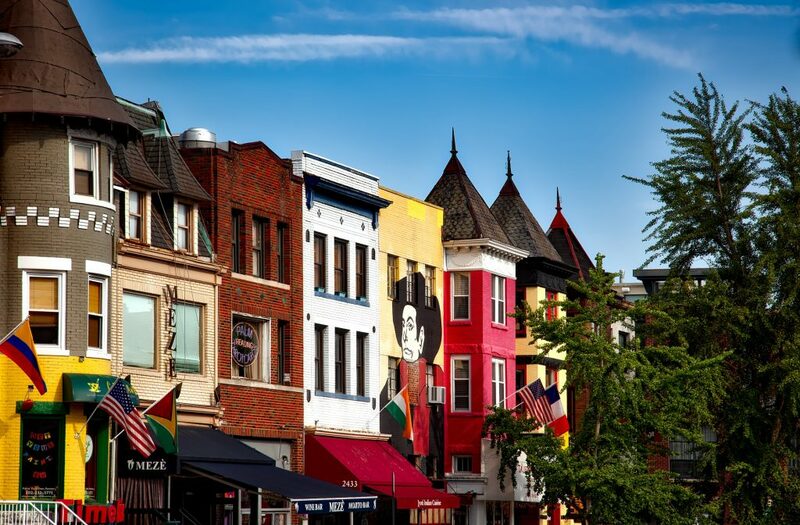 Thriving neighborhoods are critical to the long-term economic success of individuals, communities and cities, but every city faces its own set of challenges and needs a localized, inclusive strategy. To address these challenges and source innovative models, JPMorgan Chase hosts an annual competition that encourages Community Development Financial Institutions (CDFIs) to develop creative partnerships and invest in local solutions that advance a comprehensive, strategic vision for the community. 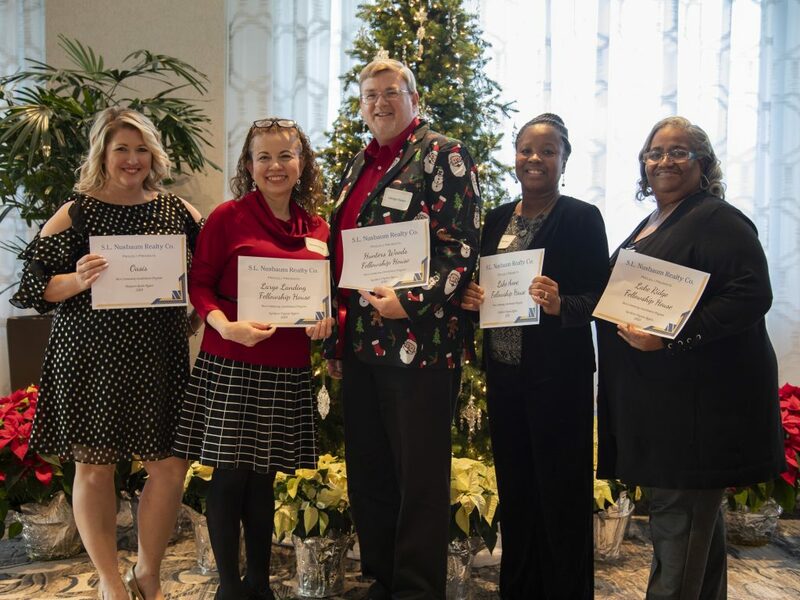 To date, JPMorgan Chase has hosted five competitions, awarding more than $98 million to 25 groups of CDFIs across the country – work that’s highlighted in a progress report by the Joint Center for Housing Studies of Harvard University. The report found that after its $68 million investment, the winners of the first three competitions raised an additional $713 million in outside capital, issued over 21,000 loans to low-to-moderate income customers, and created or preserved over 3,000 affordable housing units and 11,000 quality jobs. ‘Planning for Equitable Development Grants’ aka ‘planning grants’ for local multidisciplinary leaders, such as economic development focused government agencies, community development organizations, to identify the greatest needs facing their communities and develop a new equitable neighborhood plan. These plans will outline a vision and approach for how a capital strategy by a collaborative of CDFIs can address some of the biggest barriers to opportunity in distressed neighborhoods. Successful applicants will be eligible for a one-year grant of up to $100,000. ‘Collaborative Capital for Equitable Development’ aka ‘capital grants’ for CDFI Collaboratives that are proposing a capital strategy to advance an existing equitable neighborhood plan that addresses a documented challenge within their neighborhood(s). We are looking to support proposals that outline how the CDFIs will create a direct link from capital investment to the larger vision. Successful applicants will be eligible for a three-year grant of up to $5 million. Applications are encouraged from the full list of eligible markets, as well as encouraged to (1) be specific about the neighborhoods and populations they are serving, (2) support the growth of diverse led CDFIs, (3) build the balance sheet of CDFIs with net assets of less than $75 million, and (4) support innovative strategies by local CDFIs that combine balance sheets, talent and technology to advance economic opportunity in distressed neighborhoods. The RFP launches on March 4 and proposals are due by April 22 midnight PST. Winners will be announced in October. HIP’s new President, Sam Parker, presents outgoing president, Mel Thompson, with an award in recognition of his service. 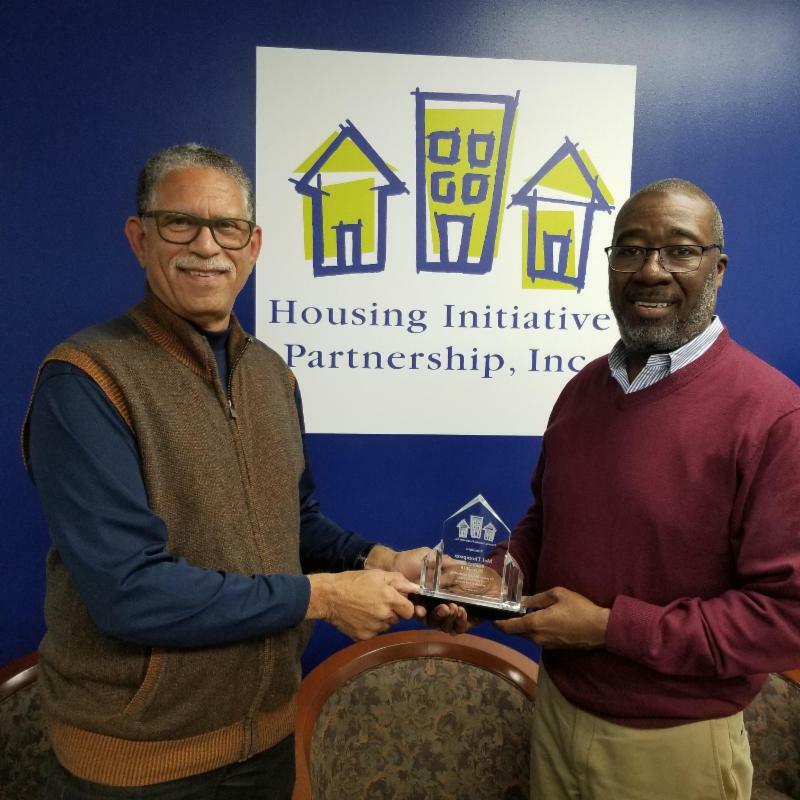 At its annual meeting in November, the Housing Initiative Partnership (HIP) Board of Directors honored longtime Chair Mel Thompson, who has served HIP for the past 10 years as both a board member and Chair. The board elected community member Sam Parker as its new Chair, and also welcomed new members Julio Murillo Khadjibaeva and Mae Avenilla. 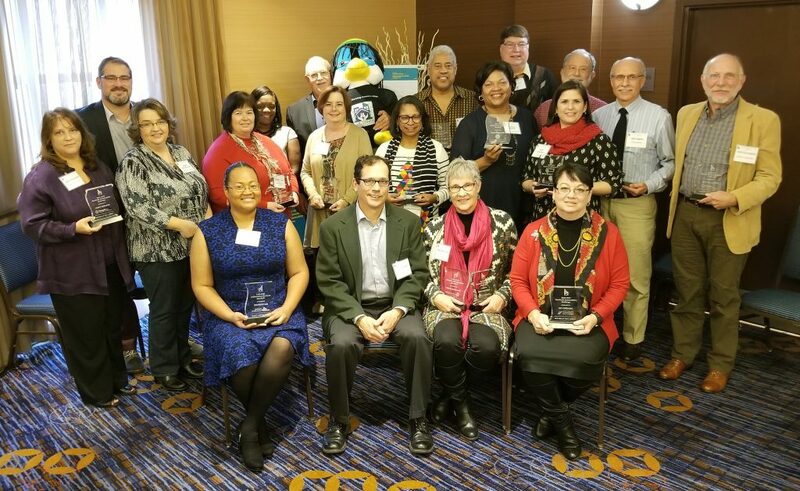 Congratulations to all for your hard work and dedication to the mission of affordable housing and community development! Healthcare and housing: new partners in development? Key decision-makers of companies involved in the affordable housing industry—developers, owners, property managers, syndicators, investors, and lenders. It will offer an ideal networking venue that will enable attendees to connect, exchange ideas, and develop relationships. Register and check out more details here.